It’s easy sticking paper labels with our gluing machines: manual, electrical and semi-automatic, available in various sizes and versions, for paper and cardboard. They save time and glue and do the job cleanly and efficiently. The simplest and cheapest are the manual models, suitable for light water-based glues (cellulose, dextrin), available in different sizes (Standard, Din A/4...). 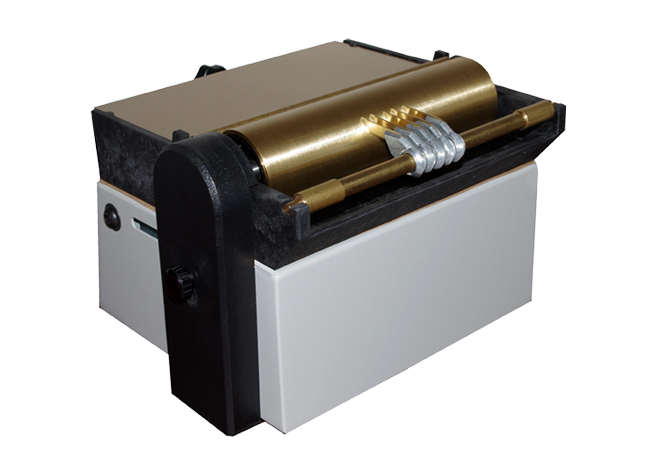 The EME electrical machines, available with single sheet insertion (N versions) and with label feeder (AN versions) are robust and practical, suitable for all cold glues. For cans and bottles, the semi-automatic labelling machine BTL 210 applies and sticks labels (including wrap-around labels) quickly and efficiently.